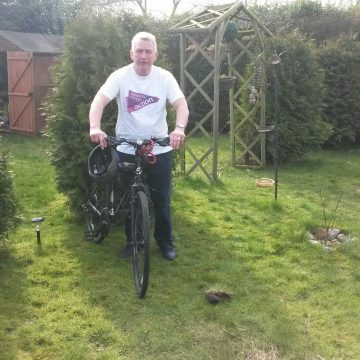 Andrew Markham, from Brigg, is one of Pancreatic Cancer Action’s ambassador who is ver y involved in raising awareness and funds for the charity. His newest challenge that he will be taking on with his good friend Lesley Whitehand on the 15th July is a 60km bike ride to mark his 60th birthday. Their ride will start in Littleborough and finish in Sowerby Bridge and he is hoping that local businesses and fundraisers will be able to support him along the way. 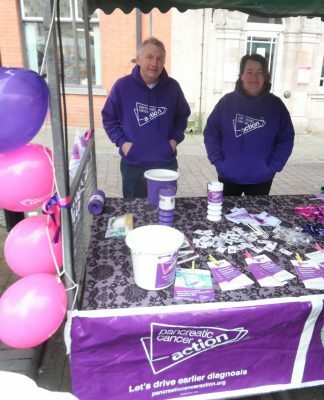 Andrew has done a lot to raise awareness of the disease and help the charity by holding awareness and fundraising stands and has recently been awarded Joseph J. Magrath O.B.E. Award for Public Voluntary Service in Brigg. He has been motivated to help the charity since he had to find out about the disease when two of his close friends sadly died of pancreatic cancer. His friend Howerd, was diagnosed in February 2012 and sadly passed in August that year and his other friend Linda was taken just 10 weeks after diagnosis. Previous Article Local fundraising hero raises over £8,000 to help pancreatic cancer action Next Article Watch our Striders in Action!